San Diego Construction Aggregate Producers Partner With Habitat for Humanity for Escondido Housing Project — Project Cornerstone, Inc.
SAN DIEGO, CA – Local construction aggregate producers, Robertson’s Ready Mix and Superior Ready Mix Concrete, L.P., contributed concrete to a San Diego Habitat for Humanity® project located on North Elm Street in Escondido. The pour was made on May 21st in preparation for the Home Builder Blitz scheduled to take place from June 2nd-6th, 2014. San Diego Habitat for Humanity is building a total of eleven affordable units in the Elm Street Community. The project includes five duplexes and one single family residence. The organization uses what is known as The Blitz Model to construct the homes within a five day period. In preparation of the blitz, Robertson’s Ready Mix and Superior Ready Mix poured 130 cubic yards of concrete to form the foundations for three of the buildings. Some of the concrete material was donated while some was provided at a reduced price. Sources of aggregates are becoming scarce as resources are depleted at existing production sites, while permitting of new sites is difficult to achieve. Between 1970 and 2010, the number of active production sites in San Diego County has declined from 49 to 11. By 2030, only five local sites will remain unless new resources can be permitted. Pfeiler thanked the construction aggregates industry for their support at the recent Project Cornerstone quarterly meeting where construction aggregate producers met to learn about and discuss industry issues. She spoke briefly about the importance of the local construction aggregate industry in keeping housing in San Diego County affordable. Habitat for Humanity is still looking for two additional construction aggregate and ready mix concrete producers to participate in the second phase of the project scheduled for early July. Contact Lori Holt Pfeiler at 619-906-4480 or lorip@sdhfh.org to participate in the next pour. Serving Southern California for over 30 years, Robertson's is on the leading edge in the Ready Mix industry. It is the leading producer of ready-mixed concrete and construction aggregates in the Southern California area, covering Los Angeles, San Bernardino, Riverside, Orange, Imperial and San Diego Counties. From the San Fernando Valley to the High Desert and as far east as the Coachella Valley down to the Mexican border, Robertson’s is committed to establishing long term, valuable business relationships by providing its customers with quality materials at competitive prices. The company is continually looking to the future for the next innovations that will allow it to better serve its customers needs. For more information, visit www.rrmca.com. Superior Ready Mix Concrete L.P. has its roots in its first concrete batch plant on West Mission Avenue in Escondido. 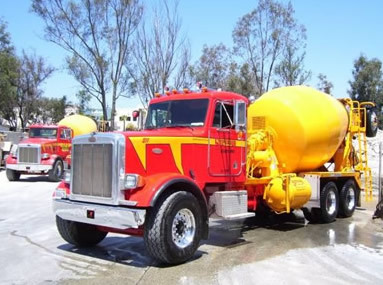 Incorporated by Jack Brouwer in 1959 as Escondido Ready Mix Concrete, Inc., the business grew steadily because of its commitment to customer service. The first expansion was to Vista, then to San Diego, East San Diego County, and southern and eastern Riverside County. 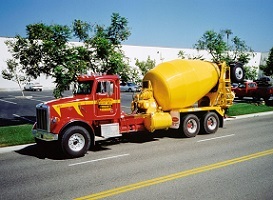 In 1989, the various businesses acquired were consolidated and the company was renamed Superior Ready Mix Concrete to reflect the company’s ongoing commitment to providing superior service to its customers. Today the company provides concrete, aggregates and asphalt to numerous customers from over twenty plants in Southern California. For more information, visit www.superiorrm.com. Habitat programs are focused on creating homes for ownership by low-income families in need, offering a hand up, not a handout. Habitat homes are sold to Partner Families at no profit and are financed by a 0%-interest 25 to 30 year mortgage. The mortgage payments create a revolving fund that Habitat uses to construct future homes for local families in need. These homes are built with donations of money, materials and labor. 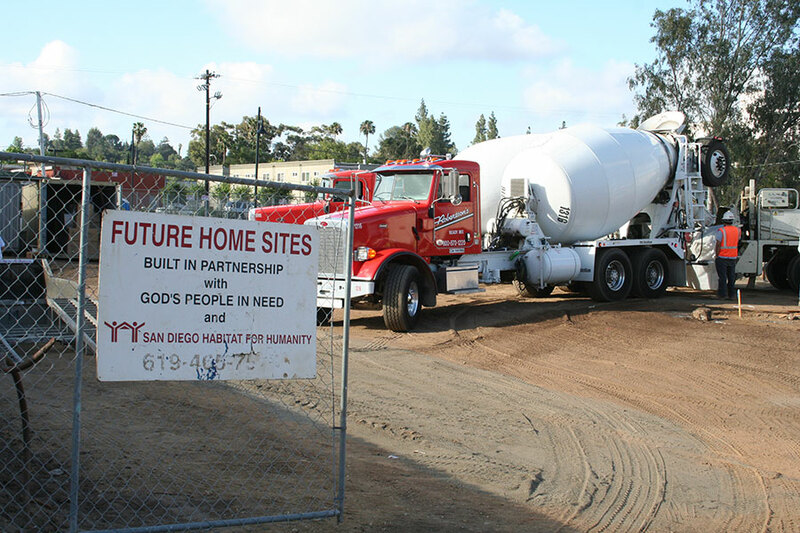 Since 1988, SDHFH Has built over 200 homes throughout San Diego County, serving 900 men, women and children, with the support of nearly 200,000 volunteers and generous corporate and government partners. For more information, visit www.sdhfh.org.